Calling all women who are keen to learn how to build a website. Our newest We Are Chester contributor and digital skills guru Liam Cookson is keen to hear from you ahead of the Django Girls Chester 2019 workshop. The gender gap in technology is well documented and well-referenced. There’s a mine of information and statistics relating to the lack of women in tech. The IT industry is so incredibly not diverse, it’s both sad but a fact of life that we come to accept. But why is this? Is it the lack of role models in STEM (Science, Technology, Engineering, Maths) that girls have growing up? Or the traditional gender roles that saw men dominating technology for generations? I don’t know. But what I do know is we should all be addressing it, and doing our best to tip the scales in the direction of balance. In comes Django Girls. As the founder of CodeUp Chester, I know a bit about taking a complete beginner and helping them get started on their journey to learn to code. Django Girls is a worldwide not-for-profit organisation whose aim is to simply empower more women into becoming developers. Django Girls is coming to Chester for the first time this year. Hosted at Code Nation at 8 Boughton, it’s a day full of workshops, talks and more, that will enable our attendees to build their very first website from scratch. There’s an installation party on the evening of Friday 26 April, followed by the main event on Saturday 27 April. All women and girls, including those identifying as a woman, are welcome to apply. You don’t need any specific knowledge or technical skills at all, anyone from any background or career can take part. The only requirement is that you have your own laptop – as we’ll help you download all the software you need and we want you to go home and keep learning and practicing, and hopefully have been taught a life skill that is incredibly in demand. We’re so thrilled to have sponsors who have enabled us to put on Chester’s first of hopefully many Django Girls events. These are forward-thinking organisations who, like us, recognise the huge benefit that bringing more women into the tech industry would be. Thanks to Elastic, Code Nation and GitHub for their sponsorship, please read more about them on our website djangogirls.org/chester/. The hundreds of people who are involved with Django Girls around the world all give their time for free to a cause that they are passionate about. We appreciate this but also recognise it’s still a privilege. Therefore if you’re considering attending, but anticipate any barriers that might stop you, please do mention them in your application. Thanks to the generosity of our sponsors, we’re able to offer travel bursaries and financial aid to anyone who gets accepted and needs it. We will also feed you! 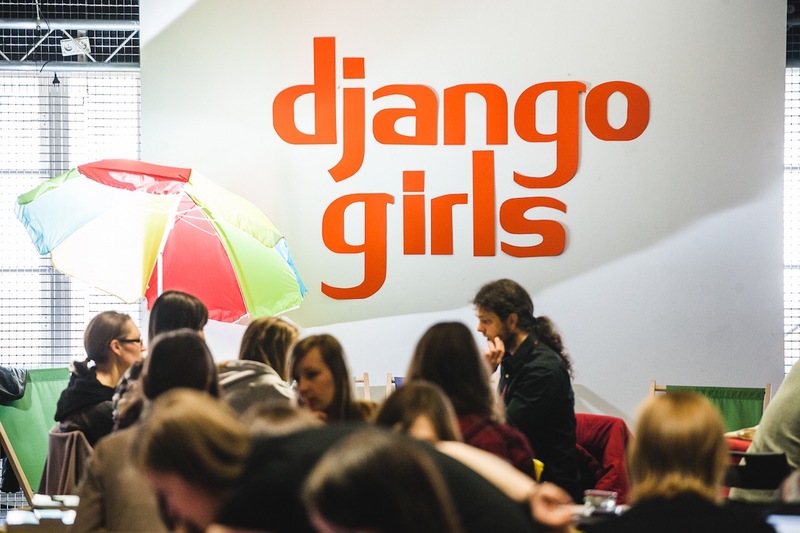 If you want to know any more information, you can get in touch with us directly at chester@djangogirls.org. We’re looking for volunteers and coaches with a little bit of experience to help us out on the day, too. Applications close at midnight on Friday 22 March, so please do not delay any further. Here’s the link: djangogirls.org/chester.